About to enter LOKL for a “western” breakfast, but first some pictures of this street. A motorbike turns into the street and parks just beside me. 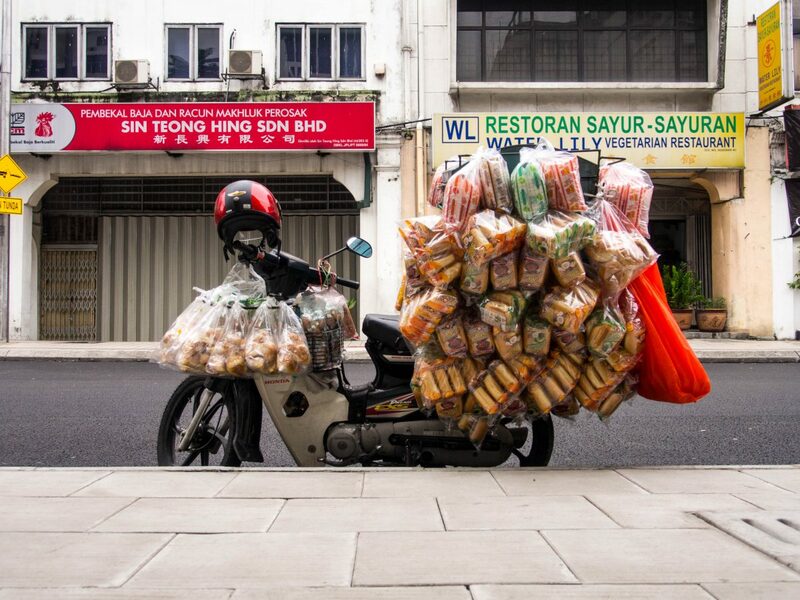 The driver jumps off, takes a bag from his bike and disappears inside the restaurant. Only then I examine the bike. Takes pictures and wait for the man to return, hoping to get a more interesting shot, with bike and driver. I fail, the pictures are no good. This one is ok, I think. This entry was posted in Uncategorized on 22/01/2018 by fromthepolder.